The AOG 36’’ Built In Grill Cover is here to save you from head and heartache caused by grill corrosion. If you own an AOG 36’’ Grill Head, whether it’s an L-Series, T-Series or otherwise, no grill accessory can help you to extend the lifetime of that AOG grill better than a grill cover. And, nobody makes a grill cover better suited to your specific grill than AOG themselves. Ill fitting tarps and loose grill covers can do more damage than good, trapping water inside of the grill rather than keeping it out. 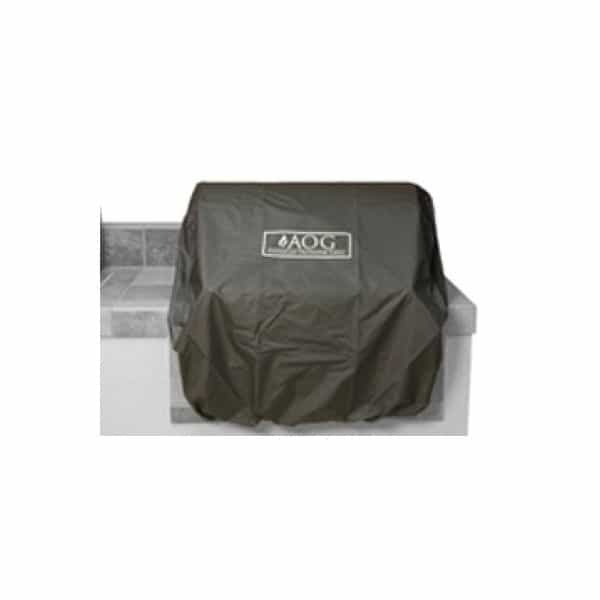 The AOG 36’’ Built In Grill Cover is made specifically to snuggle and protect your 36’’ AOG Grill Head. The grill cover is made with a waterproof material made with PVC reinforced rip-stop material, polyester and PVC. Enjoy the durability of a grill cover that fits your beloved grill head like a glove. And welcome the peace of mind that comes with real protection of your outdoor kitchenware!